Brenco Exotic Woods is currently the only North American Company importing on a regular basis, 40 foot containers of Danta Lumber. 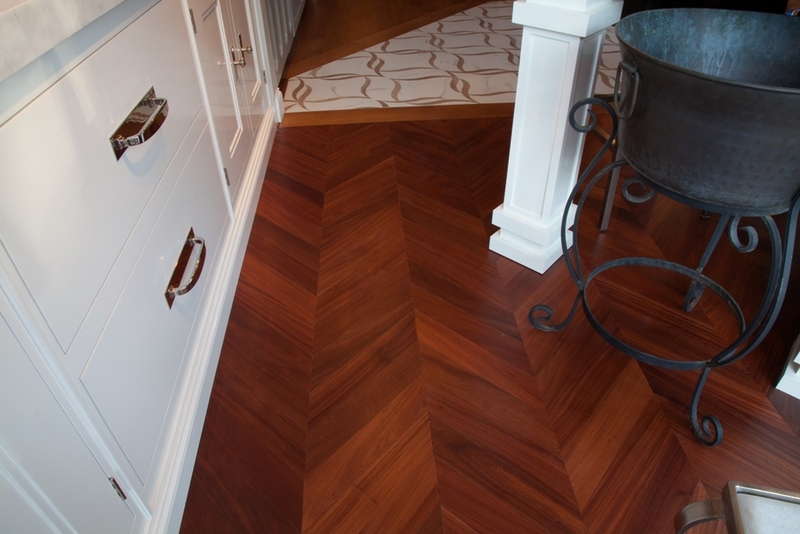 We have the lumber in stock and can manufacture your new Danta floor to your specifications with a short lead time. 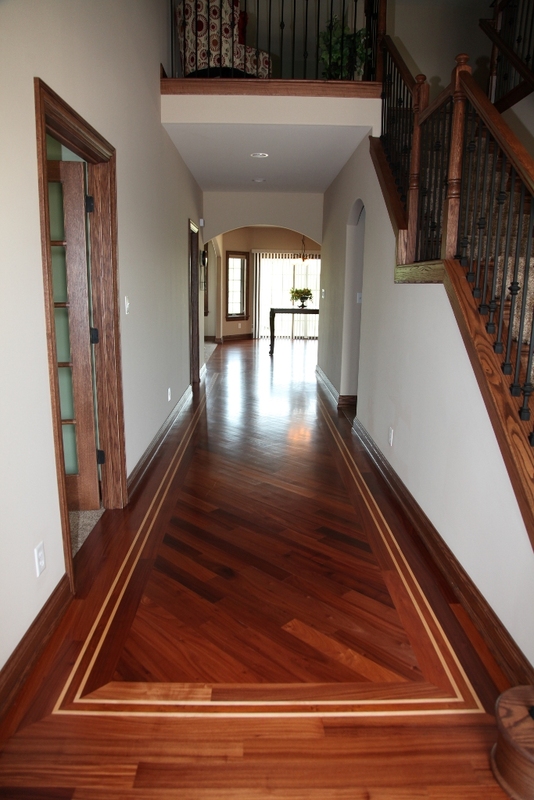 African Danta Hardwood Flooring Site finish with Maple Boarder. Located in Schererville, Indiana. 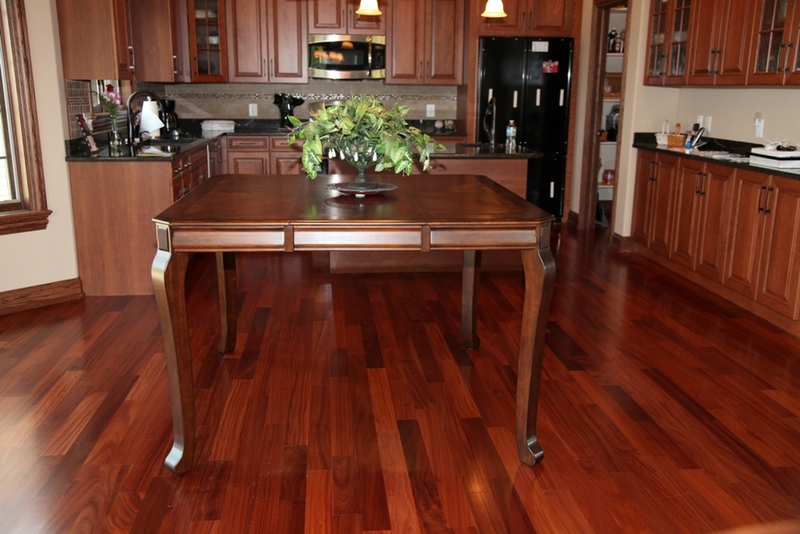 The heartwood is reddish-brown in color, and the lustrous surface is similar to that of dark mahogany. The presence of small pin knots is very common and streaks of dark scar tissues can sometimes mar the appearance of the wood. 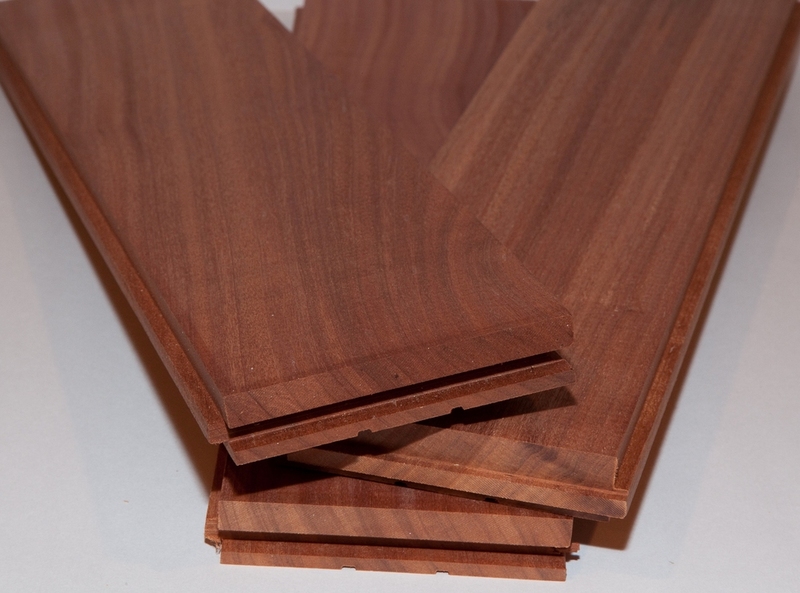 General Characteristics = Heartwood reddish brown; sharply defined from 2 to 3 in. wide lighter colored sapwood. Texture is fine and even; grain narrowly interlocked producing a stripe figure; medium luster; without characteristic odor or taste. Wood marked with dark streaks of scar tissue, pin knots. Slight greasy feel. Grain = The interlocked grain is reported to produce a striped figure on quarter sawn surfaces. Texture = Moderately Fine, grain straight to interlocked. Color = Wood light brown to reddish brown. Moire and ribbon like aspect on quarter sawn.